I’ve been having no sound in Trickster Online for several weeks, even months. After an update patch, probably at the end of September, it stopped working. I had no sound in Trickster Online on neither my desktop computer and my laptop, both running Windows XP. For this reason, I stopped playing the game. Initially I shrugged it off as a temporary problem and simply listened to my own music while playing, but it turned out this problem was dragged on for weeks… even months. The new Tapasco Volcano update really made me wish I could play the game with sound. 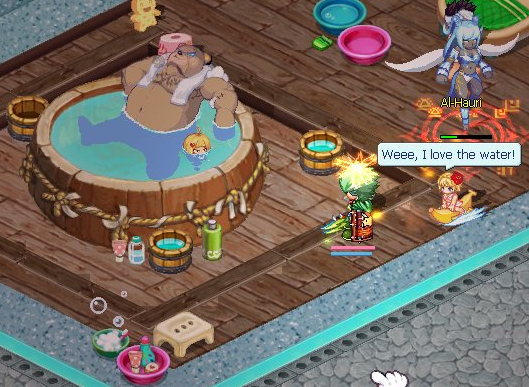 The new cute area with cats scrubbing wooden floors and sponges attacking my character seems like a lot of fun to play, but not without the original background music. I know I wasn’t the only player with this problem – in fact, some players can’t even seem to login to Trickster Online anymore since GameRage decided to add GameGuard back. I considered myself lucky, but decided to wait until they would fix the problems anyway. Meanwhile, however, I upgraded my computer and got Windows 7. Because of all the changes, I had to reinstall a lot of programs, including games such as Trickster Online. 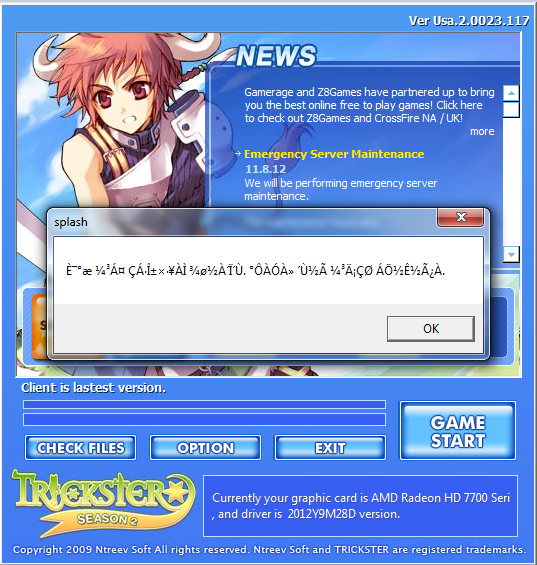 I installed Trickter yesterday night, but I couldn’t login, and it told me to reinstall GameGuard. I found this weird, since I just installed it freshly off of the original GameRage website, and decided to ask my boyfriend about it today. Starting Trickster Online as usual seems to work fine, however upon clicking “Options”, I get a little dialog with gibberish in it. Ignoring this and just starting the game doesn’t work – problems with GameGuard, I can’t login. 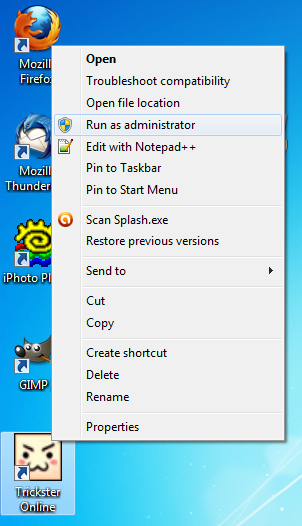 Then my boyfriend decided to try “Run as administrator”, and this seemed to fix literally every single problem. “Options” worked fine, no GameGuard errors, I was able to login and what do you know, the sound worked!